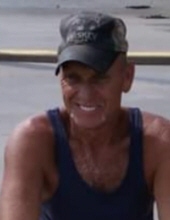 Celebrating the life of Jack "Hoss" Williams Jr.
Obituary for Jack "Hoss" Williams Jr.
Jack Williams, Jr. 55 of Ripley, passed away January 28, 2019 at Jackson General Hospital, Ripley, WV. He was born May 6, 1963 in Charleston, WV., a son of Belle Ball Williams and the late Jack Williams Sr. He was self-employed doing odd jobs. He loved to hang out with his brother Randy and work on cars. In addition to his mother, Belle Williams, he is survived by his children, Jack Williams III, Joe Williams and Kalee Williams; his siblings, Richard Williams, Jenny Fisher, Darrell “Pee Wee” Williams, Randy Williams, Janet Williams and Amy Bauguess. He is also survived by two grandchildren. Funeral Service will be 11:00 am Saturday, February 2, 2019 at the Waybright Funeral Home, Ripley. Burial will be in the Gandee Cemetery, Kenna. Friends may call from 10:00 am until the time of service on Saturday at the funeral home. To plant a tree in memory of Jack "Hoss" Williams Jr., please visit our Tribute Store. "Email Address" would like to share the life celebration of Jack "Hoss" Williams Jr.. Click on the "link" to go to share a favorite memory or leave a condolence message for the family.